Be the first to hear about their new releases and deals. Download the Booksprout app and search for Elle Clouse today! 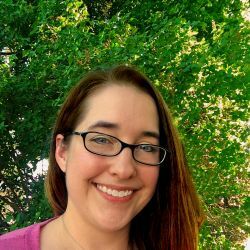 Elle has been writing fantasy and science fiction romance for years and an avid participant in the NaNoWriMo. Her first novel, Stealing the Wolf Prince, is a 2016 RONE Award Winner for Best Fantasy Sci-fi Novel.